MILAN – Profits for Italian carmaker Fiat S.p.A. grew 9.1 percent in the first quarter of 2011, powered by the company's Ferrari brand and demand in Brazil. Earnings before interest, tax and one-time items, which Fiat calls trading profit, advanced to 251 million euros from 230 million euros a year earlier, the automaker said in a statement Wednesday. Profit exceeded the 241 million-euro average estimate of 14 analysts surveyed by Bloomberg. Fiat, which last week raised its holding in U.S. carmaker Chrysler to 30 percent, reiterated trading profit in 2011 will be within a range of 900 million euros to 1.2 billion euros. CEO Sergio Marchionne, 58, listed Fiat's trucks and tractors units into a separate company at the beginning of the year to focus on carmaking. Fiat sales in Brazil were particularly strong, with a first-quarter market share of 22.6 percent. Ferrari, which will start delivering its first family car next month, is the carmaker's most profitable unit. "The Brazilian market and Ferrari more than offset the weak Italian car market," Andrea Balloni, a Fidentiis Equities SA analyst in Milan, said in a note to investors ahead of the earnings. Revenue rose 7.1 percent to 9.2 billion euros. The Italian carmaker today reported its first results as a standalone company following the spinoff of its industrial businesses into Fiat Industrial S.p.A. in January. Fiat rose as much as 31 cents, or 4.9 percent, to 6.59 euros and was up 4 percent as of 12:12 CET in Milan trading. The shares have dropped 1.3 percent this year, valuing the carmaker at 8.2 billion euros. 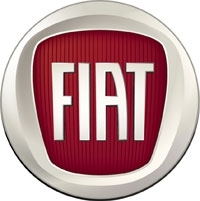 Fiat relies on Brazil to counter European losses. The automaker's first-quarter market share in Europe fell to 7.2 percent from 8.7 percent after Marchionne postponed model introductions, including an updated Panda compact, until the second half. Fiat will offer a total of five new cars this year, compared with nine in 2012 and 11 in 2013. Marchionne said this month he needs to give more attention to Fiat's European operations, which he acknowledged have suffered while the Chrysler integration has consumed his time. Fiat agreed with the U.S. government after Chrysler emerged from bankruptcy in 2009 to share technology and management in exchange for an initial 20 percent stake and performance goals to increase to 35 percent without paying any cash. It has an option to buy an additional 16 percent after the U.S. automaker repays government loans. "We argue that Fiat's investment case is more attractive than ever thanks to the Chrysler option," said Gabriele Gambarova, a Banca Akros analyst in Milan. Marchionne, who plans to complete a refinancing deal for Chrysler by the end of June, said earlier this month that he aims for a Chrysler initial public offering still in 2011. Marchionne is fighting with the carmaker's biggest union over efforts to reduce costs and improve capacity utilization as part of a plan to invest 20 billion euros in Italy by 2014. The Fiom Cgil union went to court this week to block the implementation of an agreement that Fiat says is necessary to boost productivity. The challenge from Fiom may impact Fiat investments in Italy, the carmaker said yesterday after Marchionne met union chiefs. Fiat also said it may cancel plans for its Grugliasco plant in Turin unless there is a consensus among labor unions. "It's hard to see Marchionne paint a rosy outlook for the rest of 2011 as he's still wrestling with Italian unions and politicians," said Michael Tyndall, a Barclays Capital analyst in London. "He appears to be using a carrot-and-stick approach, holding back investment until the unions agree to more flexible labor concessions."